This costume is good- so long as you're okay with it not looking exactly like the movie. It doesn't show too much in the picture but this dress has glittery tool fabric overtop the gown. 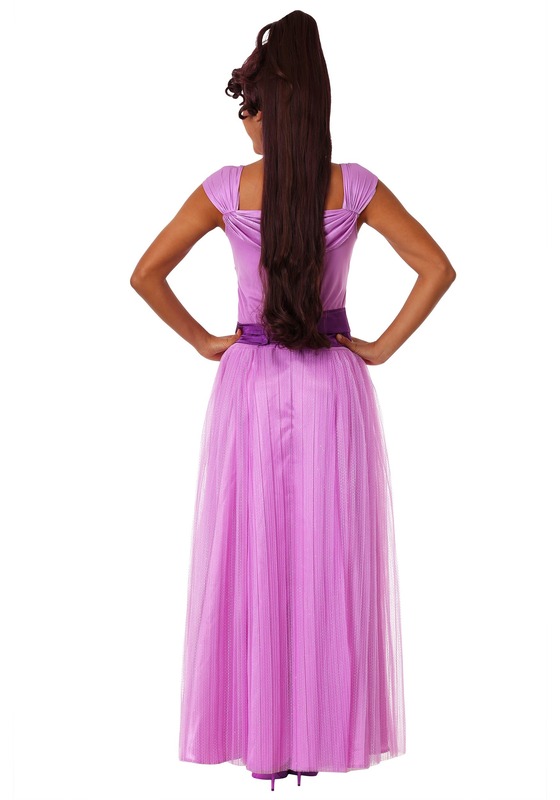 It looks more like "Galinda the good witch" instead of megara. However if you really want to cosplay as megara and you're good with fixing it up- removing the glitter tool is easy enough. It looks MUCH more authentic to Meg when the tool is removed. So its overpriced - especially for the extra work but in the end it's decent.